We welcome Conor Kilpatrick of iFanboy and Goodfellas Minute to the show as all roads lead to One Eyed Jack’s and Cooper gives us words to live by. 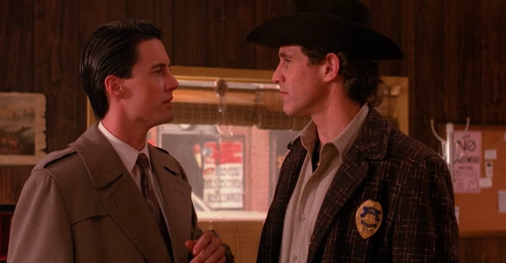 I had never seen Twin Peaks before. Thanks to your podcast, I didn’t walk away after episode three. Now, I’m watching every episode, even though the characters are weak and plot holes are everywhere. I’m hooked and look forward to listening to your show after I watch each episode. I just picked up Fire Walk With Me, and will watch that after I finish season two.